There’s been a lot of talk of cookies lately. Cookies, cookies and more cookies. I’m certainly not mad. 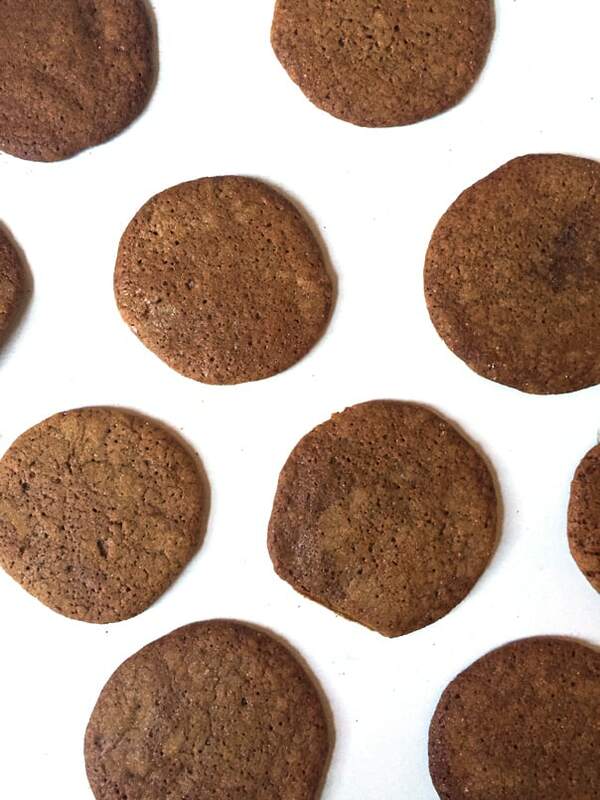 I made these Molasses Chai Cookies recently for the 5th annual Food Blogger Cookie Swap. And boy, were they delicious. So what’s this cookie swap? 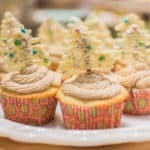 It’s an awesome, secret santa-type cookie swap for food bloggers. We make three dozen cookies, and ship one dozen to three new blog friends, snail mail style. The best part is all of the proceeds go to raise money for Cookies for Kids Cancer. I did it last year too, and I made these Dark Chocolate Pistachio Butter Cookies. So good! 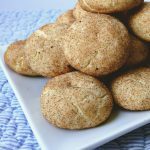 This swap is a great way to make new blog friends and of course eat cookies! I devoured an entire batch of Ultimate Peanut Butter Cookies from Chanel at Pinch Me Twice. I received an amazing batch of Double Marshmallow and Peppermint Bark Cookies from Cherie at Travel Food Fun. And I enjoyed a batch of gorgeous Italian Ricotta Cookies from Emily at Life on Food. All were amazing! A huge thanks to Lindsay at Love & Olive Oil and Julie of The Little Kitchen for organizing this amazing cookie get-together! And another big thank you to Dixie Crystals, OXO and Land o’Lakes for sponsoring this project. 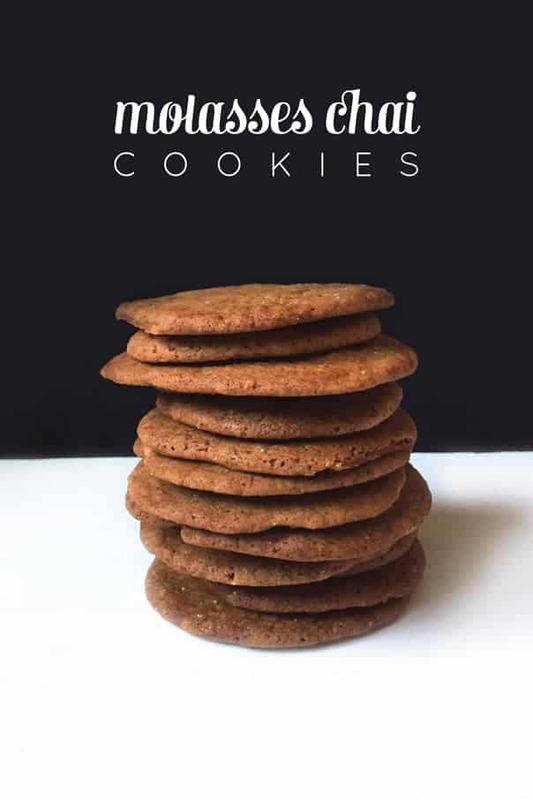 Click through for the Molasses Chai Cookies recipe! In a medium bowl, mix together the flour, baking soda, cinnamon, nutmeg, ginger, cardamom, allspice, black pepper and salt. Set aside. 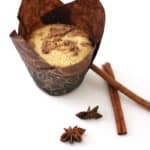 In an electric mixer with the paddle attachment, mix together butter, brown sugar and 1/2 cup granulated sugar on medium speed until the mixture is smooth, about 3 minutes. Mix in the eggs one at a time, then add the molasses and oil. Reduce the speed to low. Gradually add in the spiced flour mixture until well-combined. Cover the dough with plastic wrap and refrigerate it for 1 hour or overnight. Preheat the oven to 325°F. Line a baking sheet with parchment paper. Put remaining 1/4 cup of granulated sugar in a bowl. Form 1 3/4-inch balls of dough with your hands or an ice cream scoop. Roll the balls in the sugar to coat, and space 3 inches apart on the lined baking sheets. Bake for 17 minutes, rotating the baking sheet halfway through. The cookies are done when they are flat and the centers are set. Let cool entirely on wire racks. 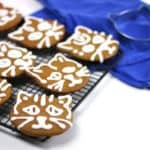 Store cookies between layers of parchment paper in an airtight container at room temperature. Cookies will keep up to 5 days. 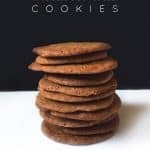 Previous Post: « Mexican Chocolate Chocolate Chip Cookies + KitchenAid Mixer Giveaway!